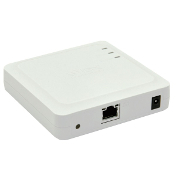 In our Network Devices category you will mainly find high quality Silex Technology products. In our glossary we introduce functionalities and uses of the different Silex Network Devices. Silex Technology has more than 40 years of experience in hardware and software connectivity. With an uncompromising quality standard, exclusive access to Qualcomm Atheros expertise and strategic partnerships with leading semiconductor manufacturers, Silex Technology is now the global leader in reliable wireless connectivity for a broad range of products, from medical solutions to document scanners and image transfers. 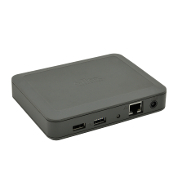 Silex USB Device Servers allow most USB devices to be used over wired or wireless networks. 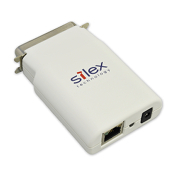 Silex Serial Device Servers make any RS-232 or UART compliant serial device network-ready on the LAN or WLAN. Make your parallel, serial or USB printer network-compatible by connecting it to a print server. 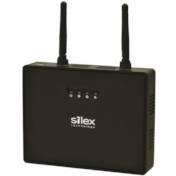 Silex's Mesh Network System lets you create an extremely professional, fail-safe, easy-to-configure Wi-Fi network. Wireless bridges are used to convert a 10/100/1000BASE-T compliant wired LAN device to a WLAN-compliant device (IEEE 802.11a/b/g/n). Display adapters make it possible to display the PC display on a remote display via wireless or wired transmission. In some cases, the integration of USB devices also makes it possible to remotely change the display using the mouse, etc. Wireless transmission eliminates cable clutter around the display, and the display can be repositioned as desired.